In 1979 one first grade boy was looking for the fossils of clams for his summer project at Mifune-machi (Mifune town) in Kumamoto prefecture, Japan. Then accidentally he found something different in the rock. 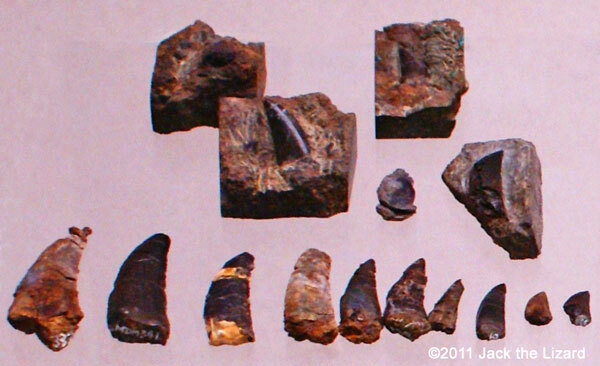 Five years later that the rock was recognized as the tooth of carnivorous dinosaur in Paleontological Society of Japan. That was the first carnivorous dinosaur ever found in Japan. 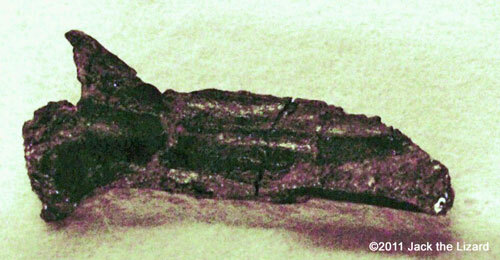 It was tooth of Megalosauridae, named “Mifune ryu” (means Mifune dragon). Time goes by Naoki Ikegami who was a graduate student of Kumamoto University was looking for fossils of bivalves around lower stream of the Amagimi dam in early spring of 1990. Then he found something bar-shaped black thing in the stratum. He was suspicious at first, but he brought it to the laboratory anyway. When his professor took a look at it, the result was astonishing. 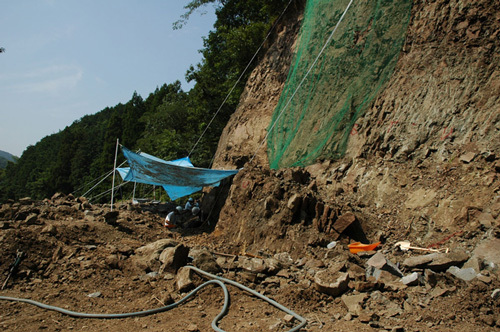 As early as summer the first dinosaur excavation research project has begun in Mufune machi. The black bar was metatarsal bone of Allosaurus. After that Mifune museum opened in 1998. Ikegami is senior curator of the museum now. The carapace of the pig-nosed turtle of the Cretaceous Period. It was found by high school students and their teacher of Mifune machi. The stratum including fossils in Mifune is called the Mifune strata which is located in the central part of Kumamoto prefecture. The Mifune strata were formed during the Late Cretaceous Period. Upper part of the strata was terrestrial deposit of about 85million years old and lower part was about 90 million-year old marine deposit. 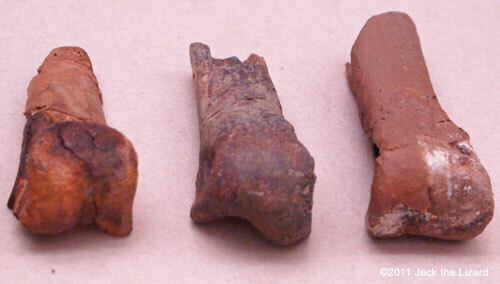 Five kinds of theropoda such as carnosauria and tyrannosauridae were found in the upper part. Ankylosauria and Azhdarchidae (a family of pterosaurs) were also found in this part. 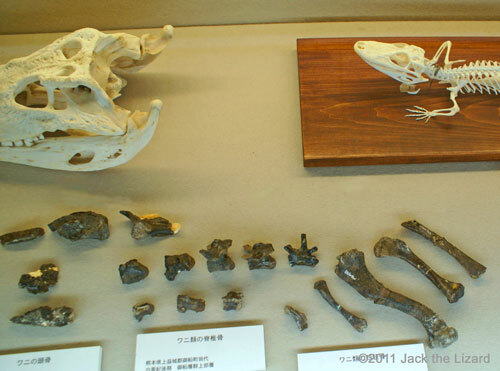 In addition that the fossils of turtle and crocodile family were excavated from the upper. From lower part Ammonites and Goshoraia (one of bivalvia) were discovered. 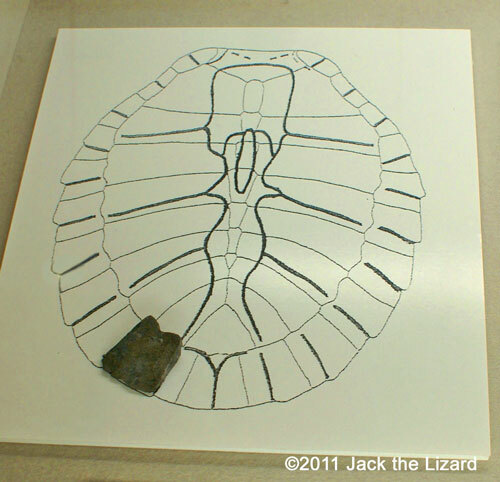 One of the most interesting displays of the museum is the carapace fossil of pig-nosed turtle from both upper and lower part of the strata. Pig-nosed turtles are called “living fossils” because they have survived since the Cretaceous Period. Japan was linked to the continent 85 million years ago. The experts of Seoul National University studied the strata and estimates the annual precipitation in this area is less than 700mm during this period. It might be semi-arid climate or steppe climate. 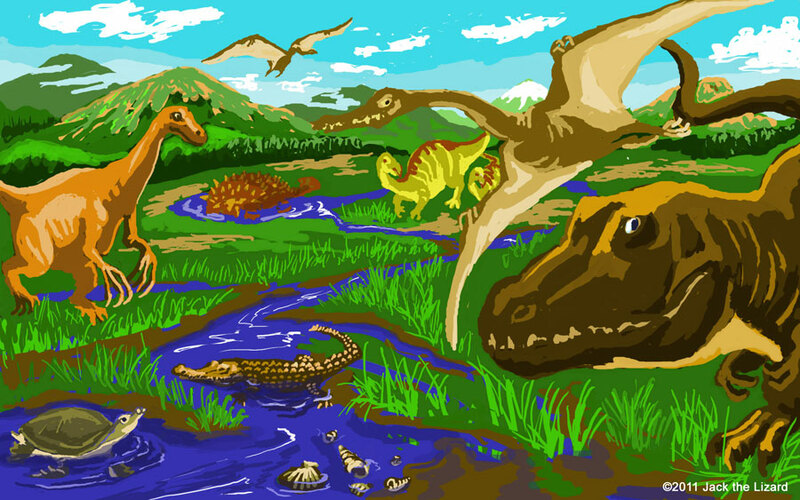 The grass land with shrub spread over and lakes or marshes was spotted in Mifune during the Late Cretaceous Period. The pig-nosed turtle could swim around tyrannosaurs nearby. Another feature of the museum is the brain case of Therizinosaurus, which is very rarely found in the world. You can compare the skeleton of the Cretaceous crocodile and that of present crocodile too. 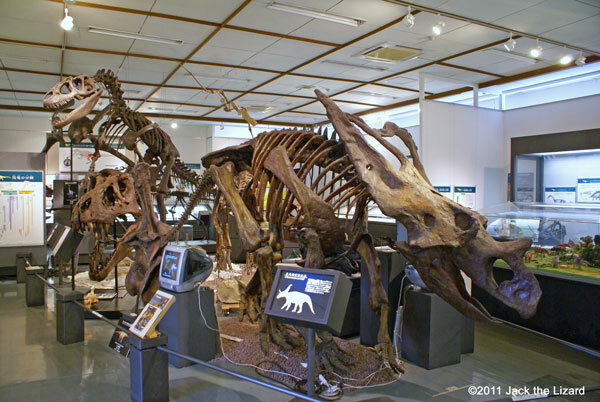 There is not a complete dinosaur specimen on display at the museum yet. Since the fossils are scattered in the strata, one complete specimen of dinosaur is extremely rarely found. “For instance, a young tyrannosaur was dead and fossilized. During this process those bones were washed away by a body of water such as rain and river. Then most of the bones were lost or dispersed all over the place and mingled with the bones of adult tyrannosaurs or other animals. In other words when a complete specimen of dinosaur is fossilized, the bones must be buried quickly before being scattered and escape from decomposition. “Ikegami explains why it is difficult to reconstruct a specimen of dinosaur. As regards one of the fossils found in Mifune, the front teeth of one theropoda upper jaw were classified as that of tyrannosaurs. Anyway it takes time and effort to dig out fossils and classify them. In addition to that if one fossil has significant value, it will be registered in the International Paleontological Association. In the case of Mifune Ikegami did the publication of Azhdarchidae in English. The contents of the publication include the age of strata in which the fossils were found, the condition of fossils, the feature and the similarity with same species. Through the publication like this the researcher from all over the world can access the information on the fossils found in Mifune. Mifune museum holds about 20 educational programs a year, and you can check the detail of rocks with electron microscope at the study room. 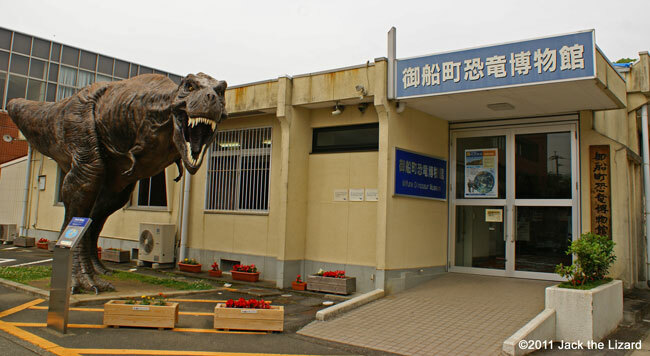 If you book the short trip for the Mifune Strata, you can participate in discovering fossils too. “Discovering fossils is fun and educational, because you can observe the environment of the digging site. It is very important to know about the place found the fossil no less than the fossil itself. You can guess whether the volcano or the river was near by the digging site during dinosaur age through studying the color and components of the soil.” said Ikegami. 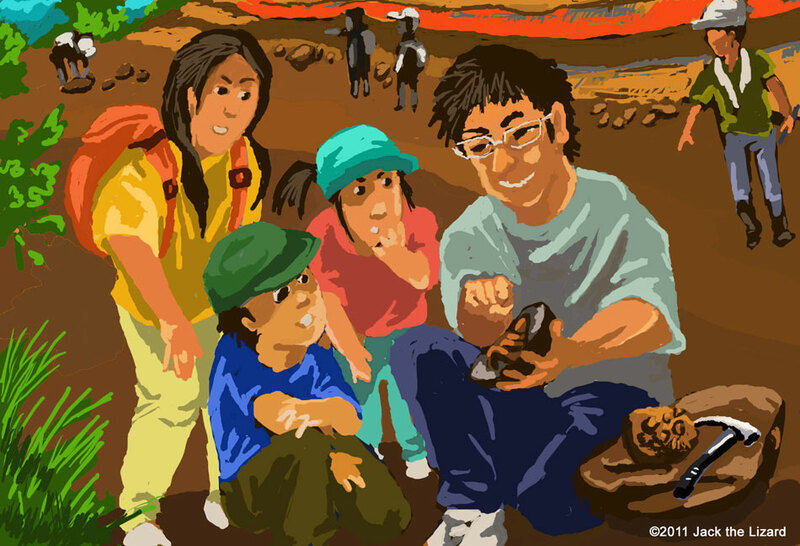 Ikegami also inform adults as well as children how fascinating the fossils and the evolution of life are. “Knowledge of the environment where dinosaurs were living leads us to think about the environment that we are living now. Evolution of all animals living now is accomplished over a long period of time. Just think about that fact makes us appreciate the life and understand nature more profoundly.” said Ikegami. Ikegami is looking for fossils with the participants. It is important to carefully examine stones tumbled off near the strata. Fortunately his son keeps the rock he found 26 years ago. 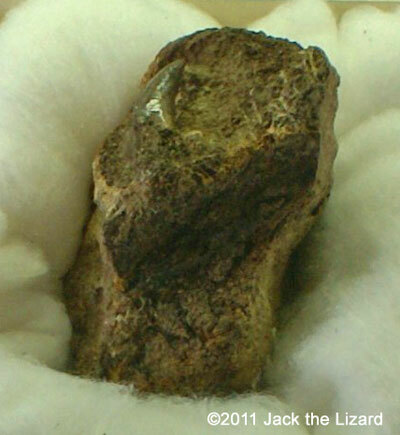 After examining it at the museum, it was identified as the teeth of theropoda. It took three generations to solve the rock secret. It takes about 15 minutes from the Kumamoto station to the central bus station. From the airport to the central bus station is about 50 minutes by limousine bus. Then from the central to Mifune bus station is about 45 minutes. About 5 minutes walk to the museum from the bus stop. Mifune museum opens daily from 9:00 to 17:00 except every Monday and holiday season of year end. Please refer to the website of Mifune Museum at http://www.mifunemuseum.jp .